Over the years, I've become a total morning person. 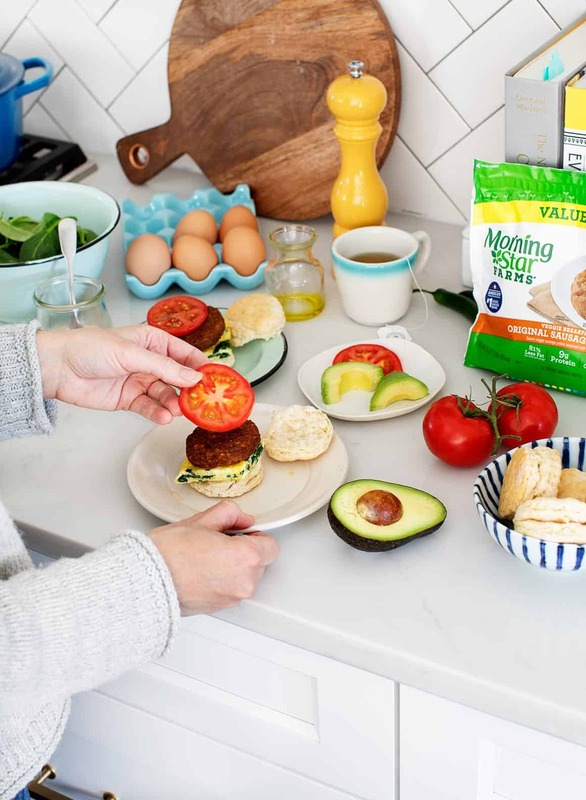 Here's a peek into my routine including the veggie breakfast sandwiches I'm obsessed with! 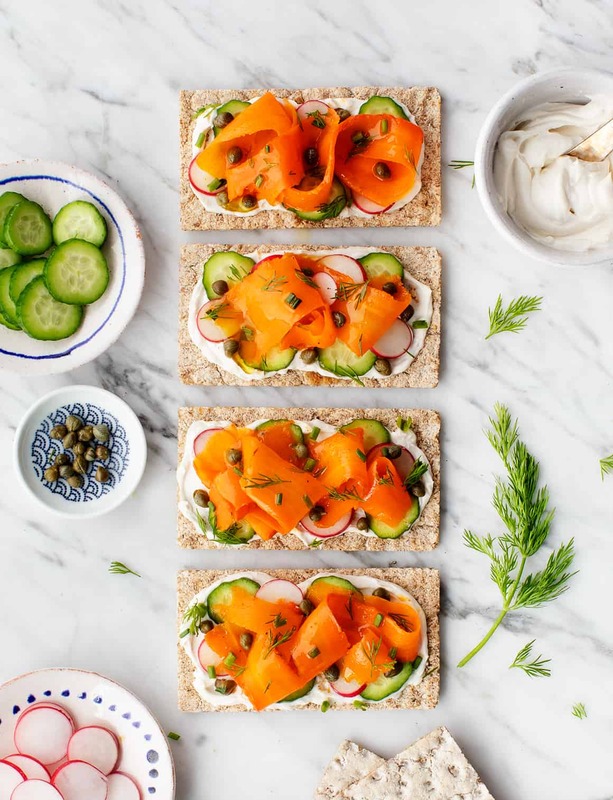 Inspired by open-faced Danish Smørrebrød sandwiches, I made an all-veggie version using smoky roasted & marinated carrots instead of salmon. 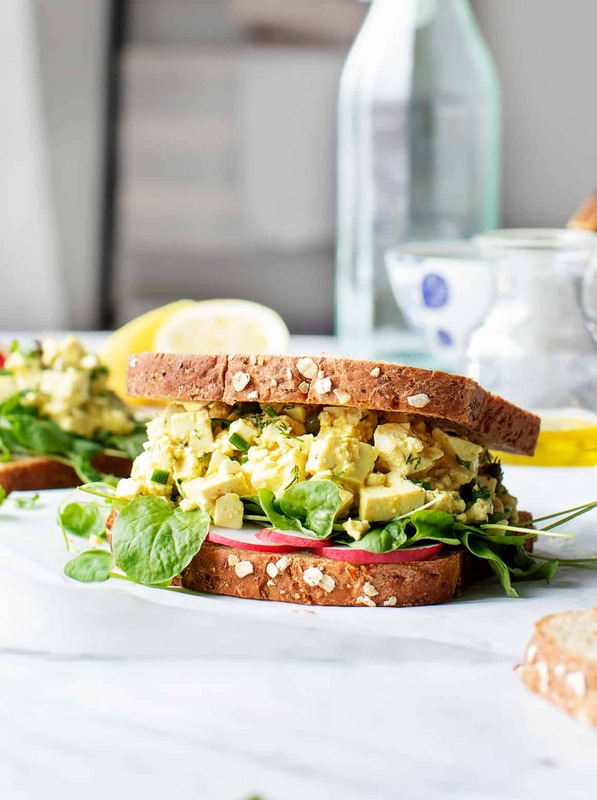 Whether you're a fan of traditional egg salad or not, you'll love this bright & briny, tangy & creamy, healthy egg salad recipe! 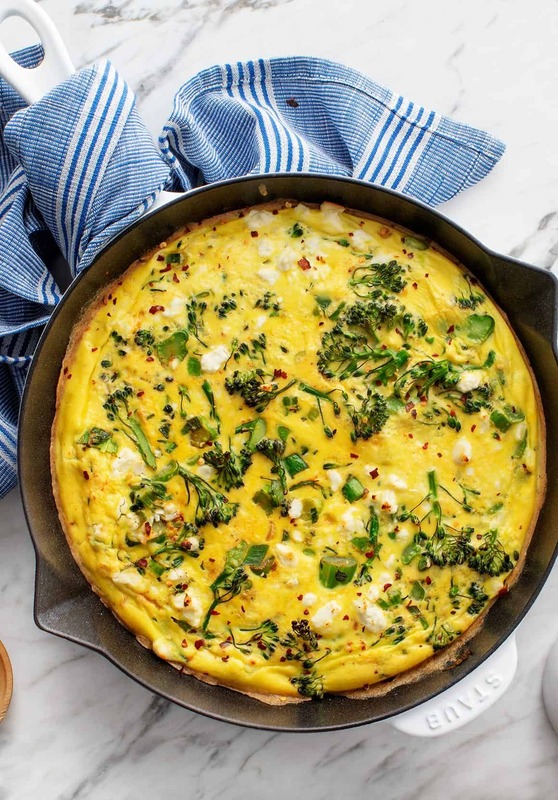 Made with chickpea flour, this easy flatbread is gluten-free. 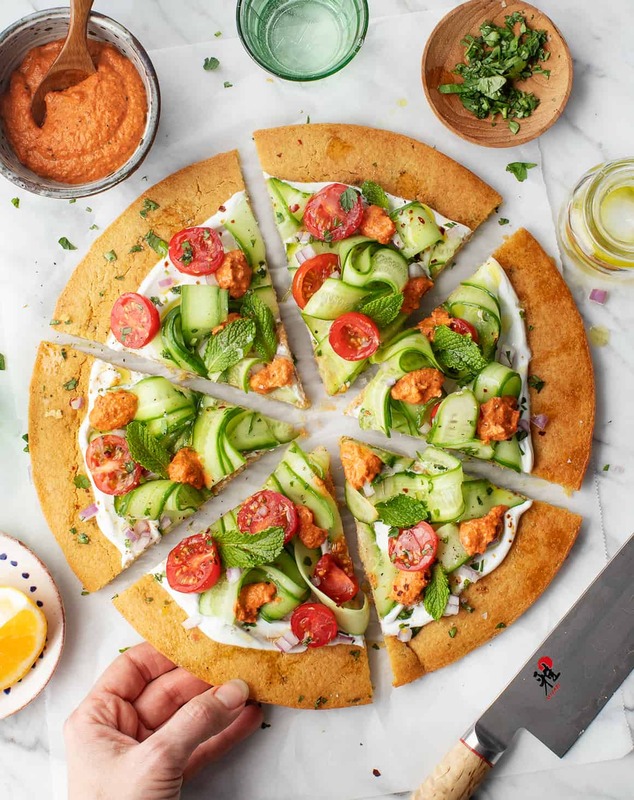 Its spiced, falafel-like flavor is delicious with your favorite Mediterranean toppings!